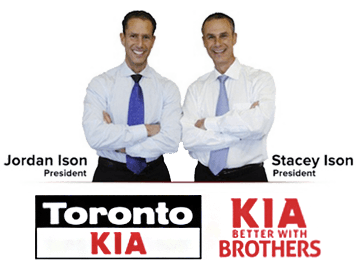 Toronto KIA represents the most attentive, knowledgeable KIA staff in the industry. We boast enough bays to ensure fast, quality automotive service; experienced sales consultants on site to cater to your every need; and one of the GTA’s best pre-owned vehicle departments. Specializing in New KIA cars, trucks, SUV’s, CUV’s and electric plug-in’s, Toronto KIA is one of Canada’s fastest growing and KIA dealerships. With our extensive inventory of Kia vehicles you can be sure to get a great deal on your new Kia. Check out our special promotions for short-run deals on popular models including the all new KIA Forte, KIA Soul, KIA Rio, KIA Optima and top selling SUV’s like our Sportage and Sorento, if you don’t find something you love, try our build and price tool to choose everything you want out in your new car or truck. Buying new isn’t for everyone. You don’t need the latest and greatest to own a fantastic vehicle. Toronto Kia maintains a great inventory selection of used cars, SUV’s Vans and trucks. Toronto KIA offers competitive leases and automotive financing options on all new KIA models. With years of experience in customer advocacy, our financing staff is equipped to build a loan for any credit situation. Let our team of specialists guide you toward a financing plan you can manage with total confidence. Is it time for Maintenance? Visit Toronto KIA Certified Service Department. Our Certified Service technicians are equipped with up-to-date tools, techniques and years of on the job experience. From routine maintenance to significant repairs, there isn’t a job we can’t handle. 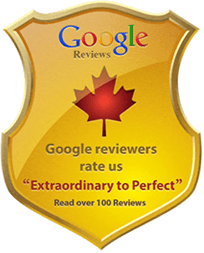 We service all makes, models, and years, and our auto service team in Toronto is professionally trained in KIA repairs and scheduled maintenance. 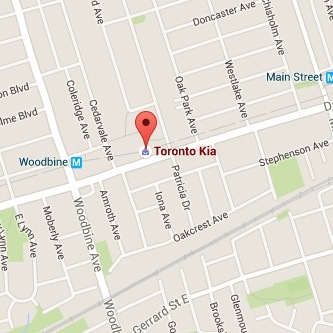 Do what’s right for your car; trust the experts at Toronto KIA when it comes to auto repair. Ready to get started with your world-class KIA dealer experience? Call us at (416) 421-9000 or pay us a visit at 2222 Danforth Ave. Toronto, ON M4C 1K3 to see why Toronto KIA is Toronto’s KIA sales, service and parts destination. On Facebook? Connect with us!